CTCA focuses on our promise to provide patient-centered care. For Dr. Cynthia Lynch, Medical Oncologist at Cancer Treatment Centers of America® (CTCA), the range of services was proof of a commitment to exceptional care. “The array of options ensures that each patient and caregiver has access to whatever they need,” says Dr. Lynch. After earning her Bachelor of Science in Nursing at Mansfield University, Dr. Lynch decided to continue her training. She completed post-Baccalaureate coursework at Bryn Mawr College and attended MCP – Hahnemann School of Medicine, completing her Doctor of Medicine degree in 2001. She was a resident in Internal Medicine at Cleveland Clinic Florida. Deciding to specialize in cancer care, Dr. Lynch completed a three-year fellowship in Hematology/Oncology at at East Carolina University/Brody School of Medicine. Dr. Lynch began her medical career as a hospitalist at a regional hospital in Florida. 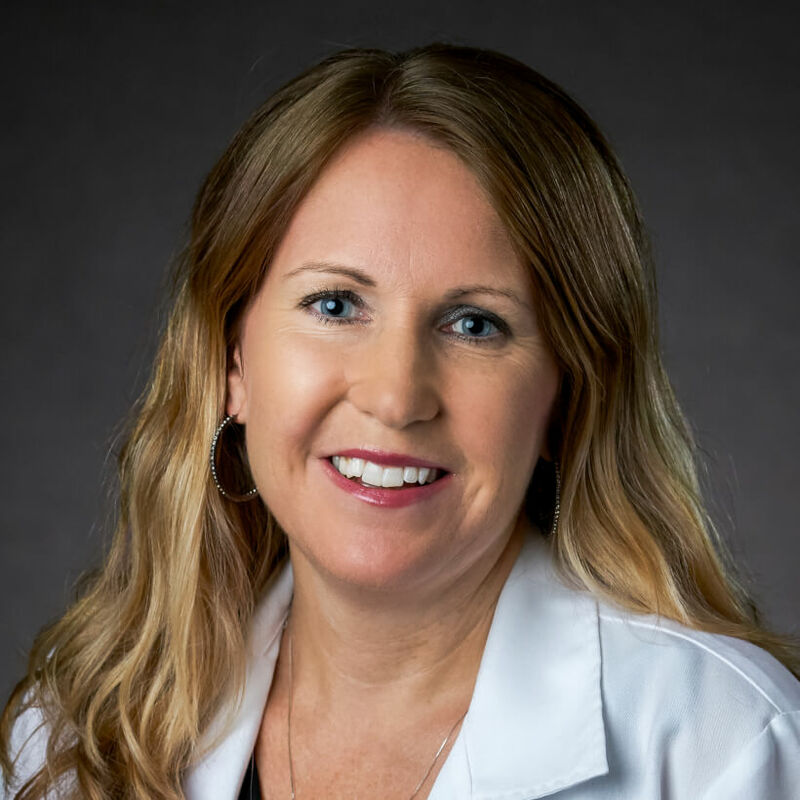 She became medical oncologist with the Breast Program at East Carolina University – Brody School of Medicine, where she led several clinical trials focused on breast cancer and gynecologic malignancies. As Lead Medical Oncologist for the Breast Program at Guthrie Clinic, she spearheaded several clinical trials to advance breast cancer treatment. In addition to clinical care, her work has addressed important concerns in cancer care including racial disparities in medicine and barriers to clinical trial enrollment. Licensed to practice medicine by the State of Arizona, Dr. Lynch is Board Certified in Hematology & Medical Oncology by the American Board of Internal Medicine. Dr. Lynch joined CTCA® in September 2015. In addition to caring for patients, she enjoys reading, running and spending time with her husband and their four children. "*Dr. Lynch stays focused is very thoughtful with my TREATMENT she tries to accommodate as much as she can - Always -"
"Dr. Cynthia Lynch is an incredibly competent, kind, and resourceful oncologist." "Dr. Lynch gives me so much hope. Sometimes my results aren't what I'm hoping for and she explains them to me in a way that is stress relieving. I feel like I completely won at the Cancer Casino with Dr. Lynch. She is a wonderful person and Doctor." "I have, and will continue to recommend both Dr. Lynch and CTCA to anyone I know you is facing cancer." "I LOVE *Dr. Lynch, she is SO kind & listens - never in a rush to get through appt. Had been supportive and positive to myself & my husband." "[...]. Dr Lynch, my current, is also amazing." "*Dr. Cynthia Lynch & her crew are outstanding." "Dr. Lynch is absolutely my angel. She has done an OUTSTANDING JOB! [...]"
"[...] Fortunately, for me, Dr. Lynch's care has been wonderful as well." "*Dr. Lynch [...] leave me feeling that I'm in the BEST place for treatment." "Dr. Lynch is amazing and very supportive in my choice of care." "Dr. Lynch always takes time to discuss test results and any concerns I have. She is a caring professional for whom I have great respect." "Likeable, thorough, answered questions, knowledgeable." "I love Dr. Lynch! She had to deliver the tough news that I have MBC, but she [...] have done so much to make my quality of life better! My husband and I pray for them daily." "I would & have recommended *Dr. Lynch to several people. [...]"
"*Dr. Lynch is fantastic - knowledgeable, caring, professional - yet warm." "God works through Dr Cynthia Lynch. She is kind, personable, empathetic, patient, and she listens 100%"
"Dr Lynch and her staff are the greatest [...] She always spends as much time as I need answering my concerns." "Dr Lynch and team are the best"
"She is very knowledgeable and great with questions. I feel very well cared for by Dr. Lynch." "I like that she is cautious & always listens to my concerns." "Again, it was only a consult so far. She was friendly and thorough." "I LOVE *Dr Cynthia Lynch & her PA [...]"
"I am already recommending Dr. Cynthia Lynch." "*Dr. Lynch is a very caring, compassionate physician!! My entire family love her. My grandson also has great confidence in keeping me alive." "*Dr. Lynch is THE best. Always gentle and always with a smile. She takes time to talk and explain. I will miss her now that CTCA will take my new insurance." "Dr Lynch and her Nurse [...] are both amazing and helpful and I knew when I met them I was in great hands. They explain everything so we can understand it and they comforted me when I cried and [...] is always there to answer any questions or help me with whatever I need she responds super fast. These ladies take away the fear and stress and worry of cancer. Im forever grateful God led me to CTCA and for this amazing beautiful team that is taking care of me." "*Dr. Lynch cares. I'm very happy to have her." "Her kindness and compassion was heartwarming. I also loved how she wasn't rushed and really made me feel like a valued patient." "*Dr. Lynch and her staff are amazing, they really care about your well being." "Dr. Lynch and her team show extreme professionalism, as well as concern for you and your medical care. They always take the time to listen and share helpful information." "Very nice and compassionate, just wish they had more up to date options for treatment." "I have referred two friends to go to *Dr. Lynch for a second opinion." "Open and honest conversations. Relief in the confirmation by *Dr. Lynch that I am on the right treatment pathway. Thank you!"